1. She likes Chinese food on Christmas. 2. She is woefully uninformed about the Twilight series. 3. 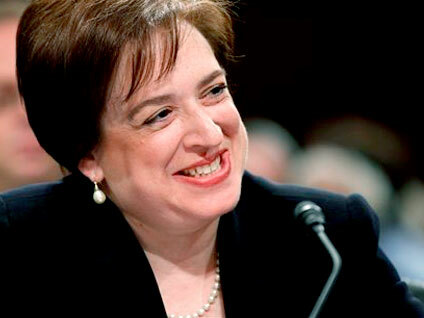 She doesn't agree with John Roberts' analogy that judges should merely act as umpires who call balls and strikes. 4. She's a self-described progressive Democrat. 5. She isn't opposed to considering legislative history when interpreting a statute. 6. She cribbed off Miguel Estrada's notes in law school and thinks he should be on the DC Circuit--and is qualified for the Supreme Court. 7. She reveres the military, but opposes Don't Ask/Don't Tell. 8. She doesn't have moral objections to the death penalty. 9. She admits to only one passion: the law. 10. And she regrets calling past Supreme Court confirmation hearings a "charade" because nominees don't answer substantive questions.